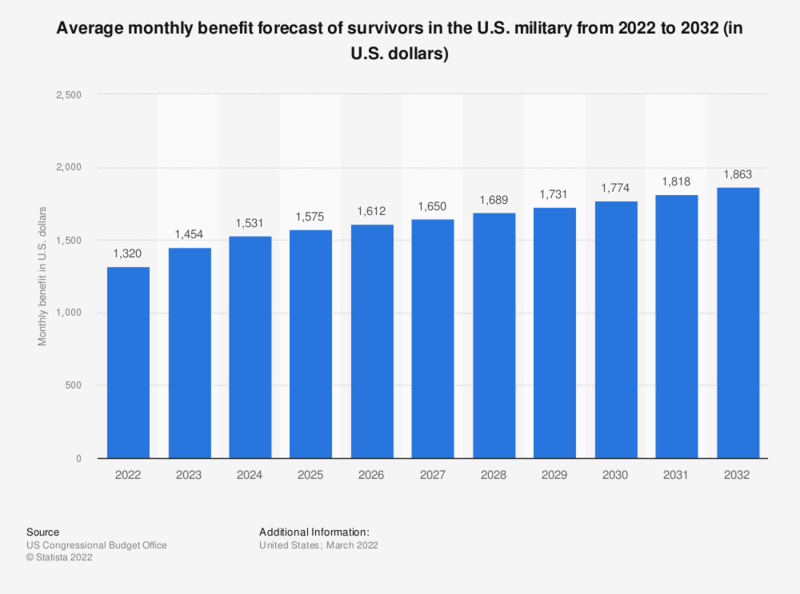 This statistic shows the average benefit forecast of survivors in the U.S. military from 2018 to 2028. The average annual benefit pay of survivors in the U.S. military is estimated at about 13,746 U.S. dollars in 2018. Survivors: Surviving family members are provided financial compensation and support, including Dependent Indemnity Compensation, a Death Gratuity payment, as well as TRICARE benefits.